We can train your child for their specific sport for strength, speed and agility. RTF offers group training at a great discounted price. No matter what the age, strength training is very beneficial. Makes you stronger and more fit. Boosts energy and improves your mood. 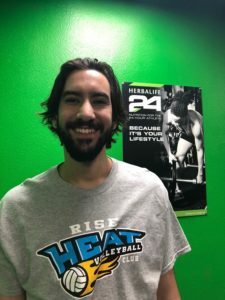 Trying to get back in shape, lose weight or train for a specific event? RTF is the place for you! Personal training to youth and adults. Several personal trainers are on staff to give you a variety of different training sessions to help you achieve your desired fitness goal. Training sessions and packages are very affordable. Training sessions will be tailored to the trainee’s specific needs and goals. Exclusive to the RTF family is the unlimited monthly personal training package. RTF would love to work with your child no matter the age. We have a broad range of sports we can play with them as well as help them work out and help boost their confidence and self-esteem. Fitness camps without the intimidation of “Boot Camp”. We will push you in a fun and social environment to help you get back in shape! Summer camps for kids of all ages which prepare them for middle and high school sports. Does your team need a competitive edge? Baseline testing of each individual player is done, and we will re-test them after the training session is completed to show improvement in their fitness levels. It is also very affordable at $5 / player per session.